In Mitchell’s 2015 Q4 Industry Trends Report, Mitchell revealed that bumper covers made up 68 percent of the top 10 parts that are involved in collisions. In addition, 78 percent were being replaced instead of repaired. The accuracy of the repair-versus-replace decision is critical, and these trends signal a lack of equipment and knowledge for bumper cover repair training. To stay ahead, shops should embrace the possibilities of plastic welding. For Eddie Stokes, owner of Detroit Auto Body, he believed his shop missed opportunities when replacing bumpers. When Stokes heard about Polyvance’s Nitro Fuzer nitrogen plastic welder, he wasn’t sure how effective the tool could be in his shop. The tool is recognized as one of the most advanced and fully featured products on the market, according to Polyvance, but Stokes wasn’t aware of its benefits until he was introduced to the Nitro Fuzer nitrogen plastic welder by insurance companies. Once it was introduced to him, its capability to repair in house caught his attention, but since he was unable to see the product in person, he hesitated to purchase ahead of time. Once Stokes received an in-person demonstration, he realized that the shop was missing out on opportunities to repair instead of replace. During the fall of 2017, Stokes decided to invest and introduced the tool to technicians during lunchtime. Today, the tool has increased productivity and is seen as a necessity in the California-based shop. “The goals [with the plastic welder] were to retain the OEM parts and not use as much aftermarket,” Stokes says. The tool’s capabilities have led the shop to both internal and external growth. Increase The Amount Of Plastic Repairs On Your Floor. Working on plastic repairs in house can drive more business in as the waiting process for a new part is eliminated. Using the plastic welder has saved as much time as a full workday, Stokes says. Having the ability to work on multiple types of plastic allows employees to become more advanced in the craft. The plastic welder’s versatility allows users to repair polyethylene plastics, like washer bottles, as well as fender liners, according to Polyvance. “When we purchased it, we had a couple of lunch opportunities where we got the group together and really pulled out some of the bumpers that could be repaired,” Stokes says. After technicians saw firsthand how the plastic welder could be used on vehicles, Stokes says his employees are now more eager than ever to work with the plastic welder on finishing a job quickly. According to Stokes, the tool is used every day. According to Polyvance, using a welding process can speed up the process in a shop. In particular, using the welding process on thermoplastics allows for repair of small tabs and detail areas impossible with other methods. Using the plastic welder has given the shop record numbers in terms of repairs by technicians, Stokes says. Experience Virtual and Hands-On Training. Polyvance provides customers with a variety of educational training sessions on how new equipment will work in the shop. 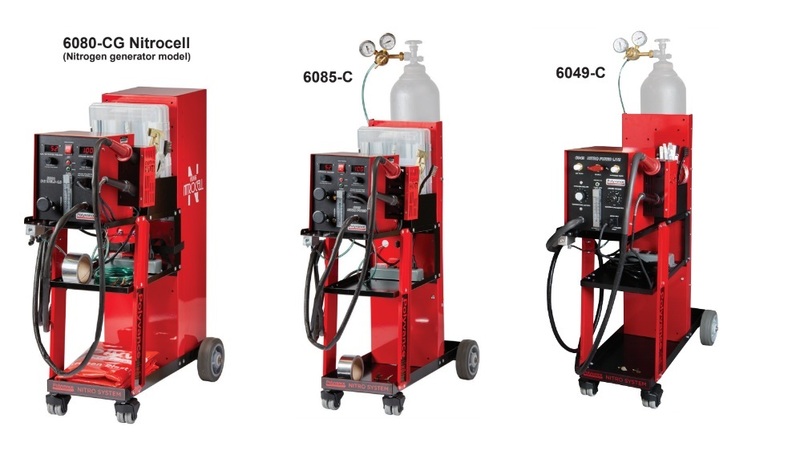 Training for shops is broken into five different sessions: courtesy training for new customers who purchase a new 6080-CG or 6085-C nitrogen plastic welder, which is free; Introduction to Nitrogen Plastic Welding, PR01, which is $500 per session for up to three technicians; Two-Day Plastic Repair & Refinishing, PR-02, which is $600 per person; Headlight Repair, PR-03 (online course), which is $49 per person; and Estimating Plastic Repair, EPR-01 (online course), which is $129 per person. Polyvance is also now an I-CAR Sustaining Partner. This means that students who pass one of our courses can receive their I-CAR credits for that class at no additional cost. When learning about the product, it was important for employees to understand how to best utilize the product.